From the casino city's tables to its fathier stables, these are the guys to get familiar with! 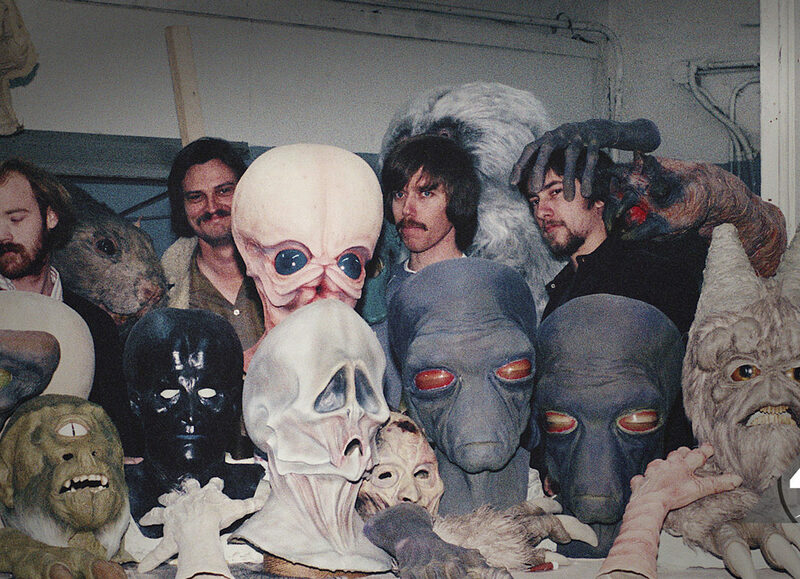 Much to Learn You Still Have is a rundown of trivia and fun facts, both in-universe and behind-the-scenes, about the aliens of the Star Wars galaxy. Whether you’ve never set foot in a cantina or you’re a well-traveled Jedi Master, you’ll find the intel you need. 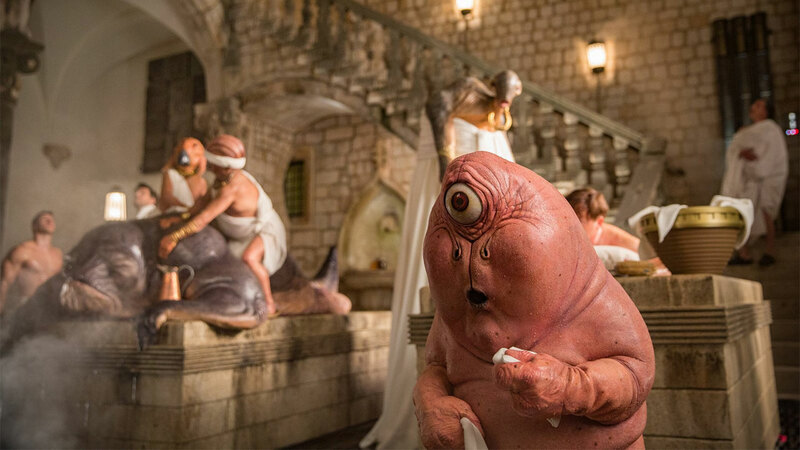 Canto Bight is an opulent haven for those in the galaxy looking for a good time, but for Star Wars fans who are into aliens, it’s a veritable theme park. 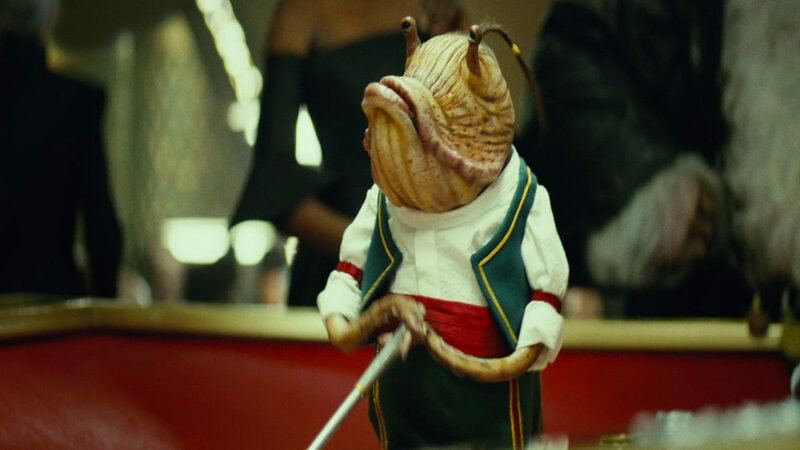 The first flyover shot of the casino’s tables introduces us to a plethora of new characters, species, and interesting storylines that you can explore deeper in the Star Wars: Canto Bight collection of novellas. Here are 10 of the aliens you should know that make their debut in the high stakes city of Canto Bight. Everyone has a nosy neighbor, and for the entire casino of Canto Bight, that neighbor goes by the name of Slowen Lo. 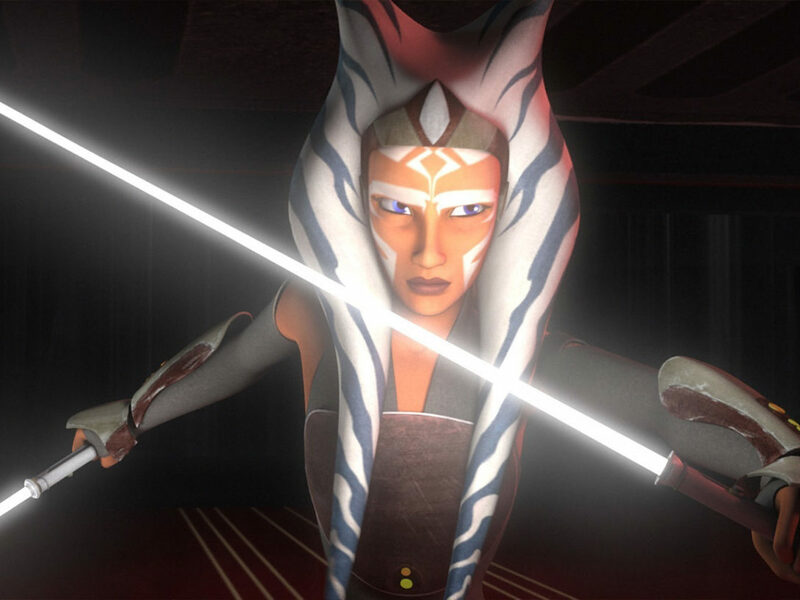 When Finn and Rose make their ungraceful arrival on the city’s shores, Lo is not happy with them. Why? Because he has waterfront property next door and doesn’t care for all the commotion. You might wonder how an average-looking Abednedo can afford such a prime spot, but this guy has a fun backstory. He actually made his fortune selling sculptures made from driftwood, which is undoubtedly a lucrative business in a city where people have more money than they know what to do with. The poor guy’s eyesight began to fail him which could have seriously impacted his art career, but not to worry. All that money can buy an alien some sweet surgically implanted lenses to fix that. Fun fact #1: The character of Slowen Lo is voiced comically by actor Joseph Gordon-Levitt. 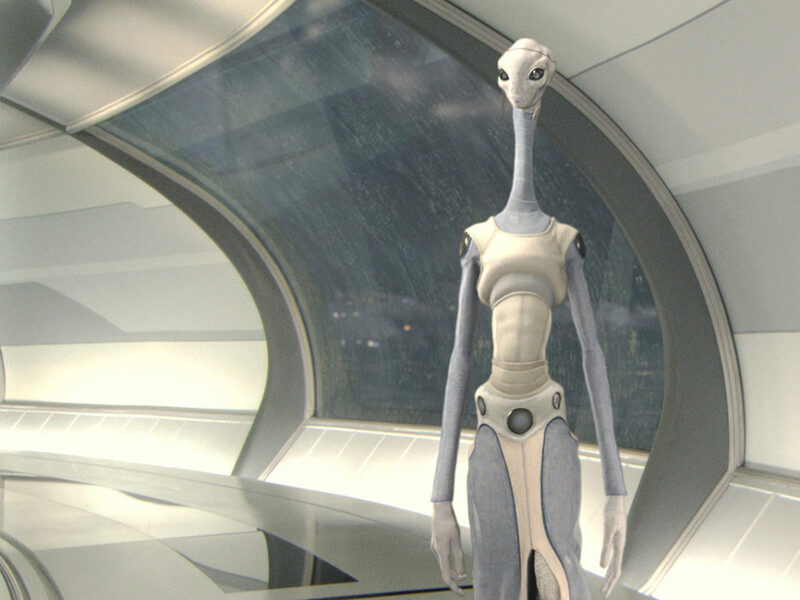 However in early cuts of the film, Rian Johnson gave the character a voice inspired by a laid-back surfer type. 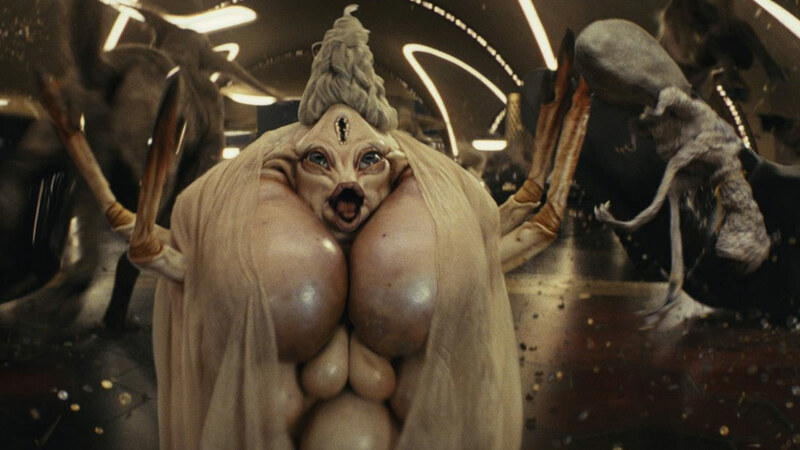 The most famous masseuse of Canto Bight, Lexo Sooger is the main character of “Hear Nothing, See Nothing, Say Nothing,” the novella by Rae Carson in Star Wars: Canto Bight. 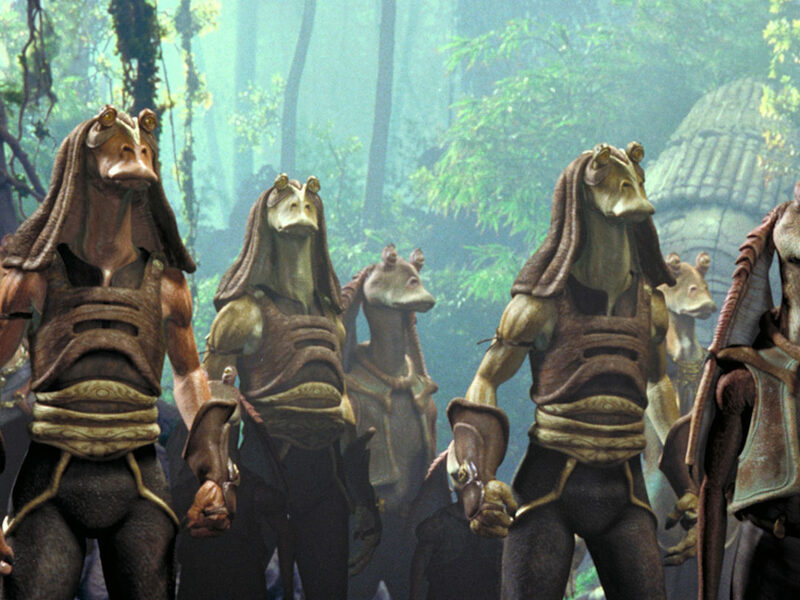 In the story we learn a ton about his species, Dor Namethian, who at first glance resemble a more hunchbacked Kaminoan of Attack of the Clones fame. However through his stories of maneuvering the Canto Bight underground, we learn there is much more to Lexo. For starters, he’s an adopted dad to a young human named Lula, a poor girl abandoned by her family and left to work in the stables. Sooger’s fingers have the ability to vibrate and he has special receptors that can detect lactic acid buildup, both vital perks for a masseuse. That necklace he wears is not purely ornamental, it actually translates so he can communicate with aliens from all over the galaxy. Though the coolest of Sooger’s abilities is a skill in which he can release a pheromone into the bloodstream of other aliens creating a sort of truth-telling serum. This definitely comes in handy when dealing with the shady business he sees each day at Zord’s Bathhouse. Lexo is a very interesting character, and though his appearance in the film was sadly cut (fingers crossed for the deleted scenes! ), you can learn even more about him if you read his novella that I can’t recommend enough. 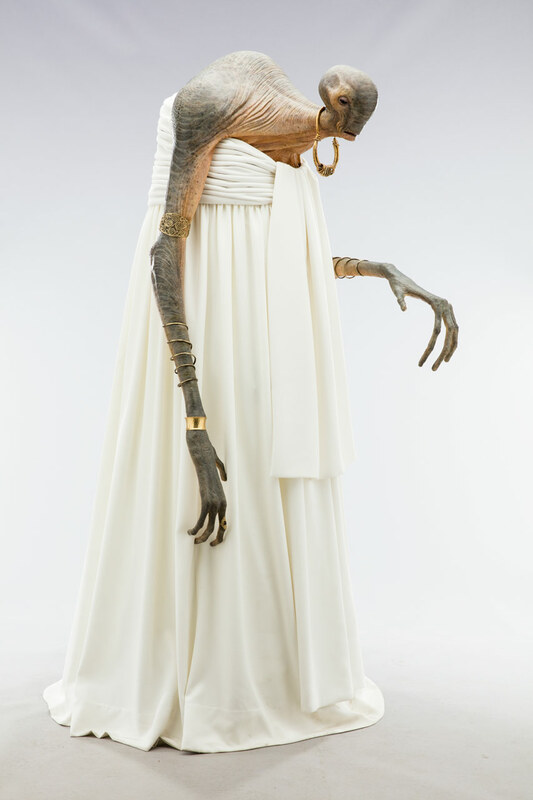 Hitting the Zinbiddle tables isn’t the only way patrons of Canto Bight make their credits. Who could forget the majestic fathiers, the racehorse-inspired creatures that are forced into a sad life of servitude? Their lives certainly aren’t improved by Bargwill Tomder, the surly, whip-toting alien of the Cloddogran species who tends the stables. Tomder is notorious for being quite lazy and relying on the abandoned stable children, or urchins as they are called, to do most of the work with the animals. His appearance is nauseating, with rotting teeth, an oozing complexion and infected nose tendrils all wrapped up in clothes that haven’t been washed in years. 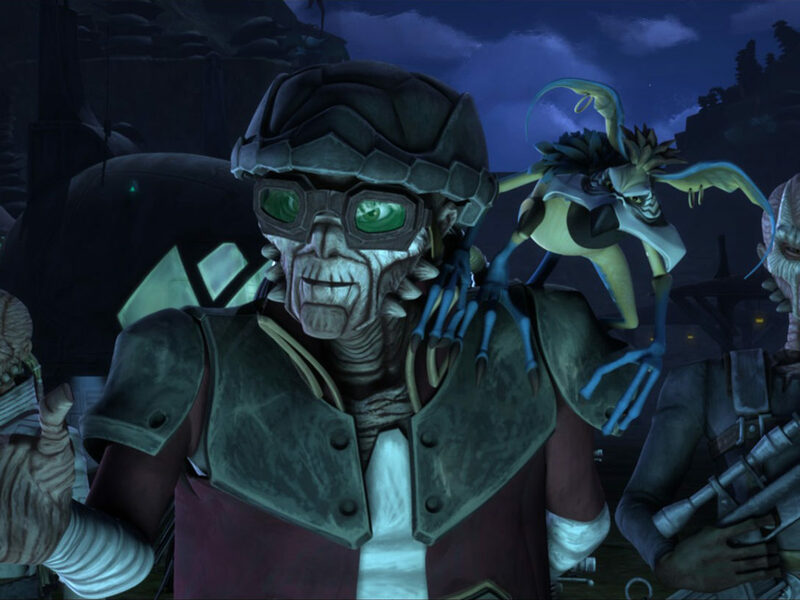 Even Lexo Sooger who has massaged some of the most nasty characters of the galaxy claimed Tomder was the most revolting creature he’d ever encountered. But lucky for Lexo, the infections on his face make the oafish boss easy to contaminate with mind-altering pheremones. Fun fact #2: You can see the Suerton brothers in the casino flyover shot and two of the three are played by Warwick Davis and his daughter Annabelle. One of the more comical bits of the Canto Casino scene occurs when Miss Ubbla Mollbro makes her debut. A Xi’dec opera singer, Ubbla’s body is covered in eggs and swathed in a self-spun chiffon drape that she may be hoping will attract a wealthy mate or hatching partner. Though in addition to her engorged egg sacks (yes, gross, but Visual Dictionary-confirmed) Mollbro has a trusty pet she carries around to the casino. Look closely when she lets out her operatic wail and you can see Ubbla let go of her floating dog like a runaway helium balloon. They may not be a single alien, but Canto Casino’s rocking trio definitely deserve our attention. Underground locations like the Mos Eisley cantina, Jabba’s palace, and Maz’s castle in Star Wars past have given us wonderfully catchy tunes to bop along to and these guys don’t disappoint. They’re actually members of the Palandag species, and though we haven’t seen them before we know that they go by the names Jhat, Dhuz, and Hhex and are naturally musically-inclined. Their exolungs make blowing the f’nonc horn a breeze and they even communicate through musical sounds of varying pitches. I personally love their mossy tree trunk-like design, especially their eye sockets at the base of their heads that are easy to miss at first glance. If you’d like to hear what these guys can do, pick up the Star Wars: The Last Jedi soundtrack and give the track “Canto Bight” a listen. The tune is a real toe-tapper and, at around 40 seconds in, you can start to hear some really fun horns that may be of the f’nonc variety. If you look around the gambling tables of Canto Casino, chances are you might catch a glimpse of the tiniest of the croupier that goes by the name of Thamm. He might not look like much, but he’s got it where it counts. And by that I mean, he’s a true friend who will console you after you’ve lost all your money and have to shine shoes to get back to your home planet. 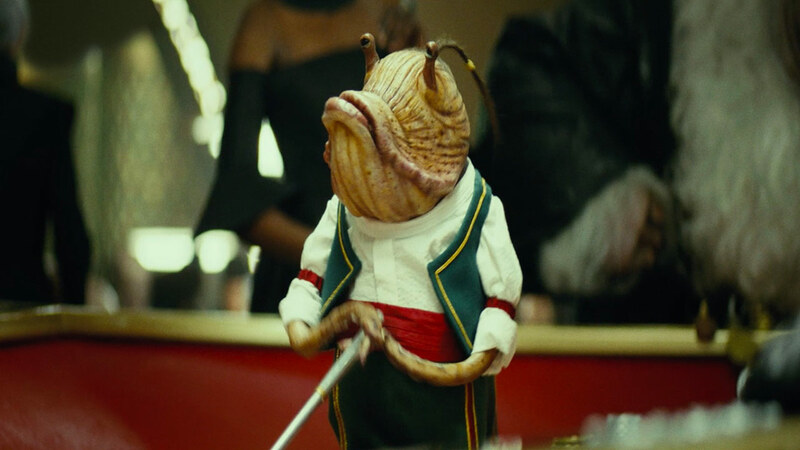 In addition to his boisterous yet sweet personality, Thamm has a smell to him that puts Canto Bight patrons at ease. What exactly does that little guy smell like? 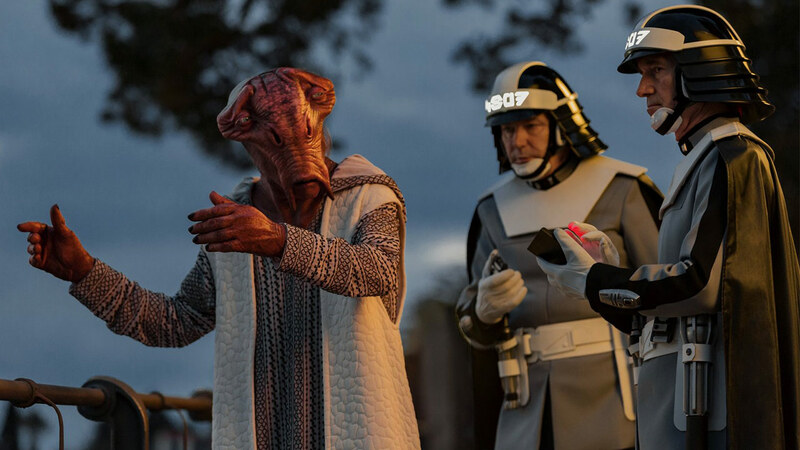 We don’t know for sure but according to Neal Scanlan via notes provided to the Lucasfilm Story Group’s Pablo Hidalgo, Thamm is “very flatulent, but his natural gas is rather pleasant and soothing.” He’s also my favorite vest-wearing cutie this side of Crait. 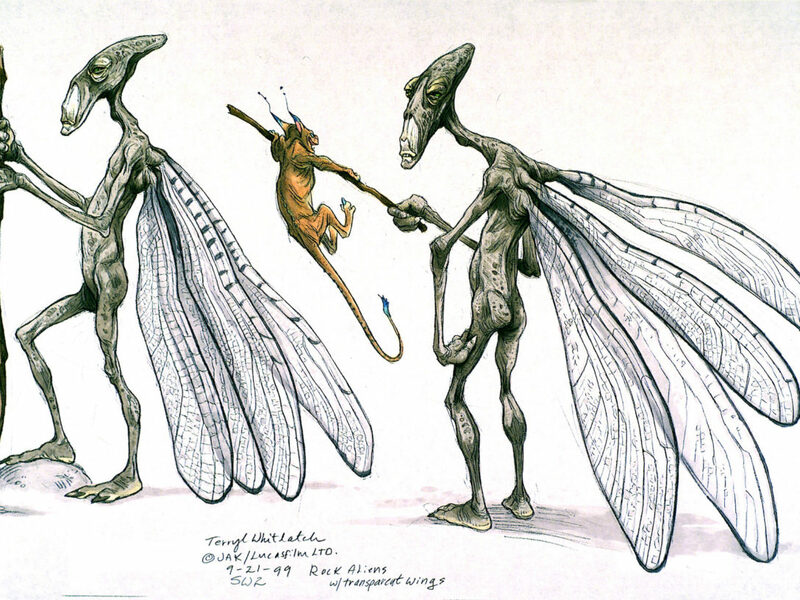 Fun fact #3: The character of Thamm was actually both a puppet and a computer-generated character in the film. You may think you need a certain level of class, sophistication, and credits to spend time in the Canto Casino, but that’s not always the case. 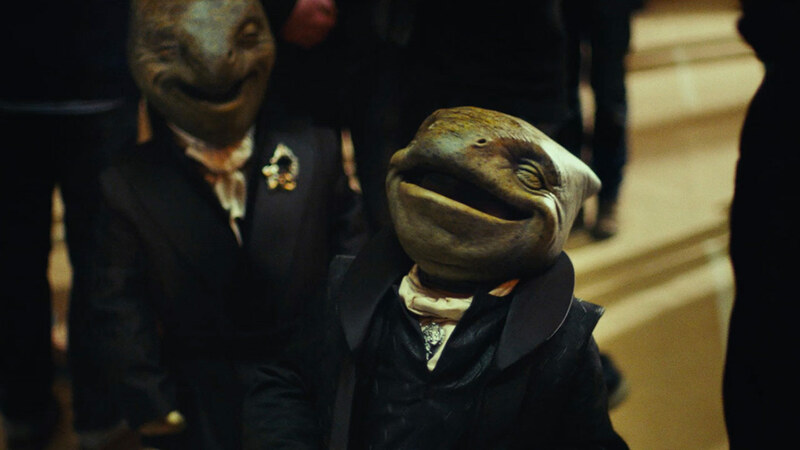 In Saladen Ahmed’s “Rules of the Game” novella from Star Wars: Canto Bight we get to know a certain alien of the Wermal species, Kedpin Shoklop. 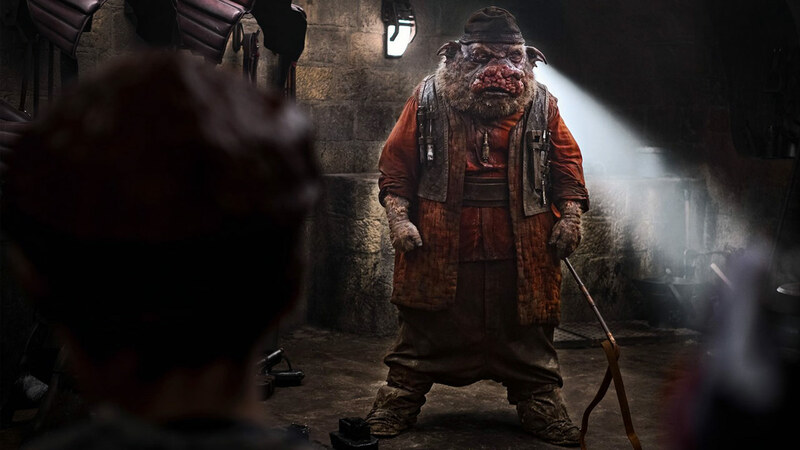 Kedpin actually won a trip to Canto Bight from his company Vaportech when they named him “Salesbeing of the Year,” and though he may resemble a chewed piece of gum crossed with a cycloptic pig, he’s the real deal when it comes to friendship. Kedpin’s Wermal species requires him to be moisturized all day, making him tote around vaporizers, humidifiers, and, most importantly, his trusty eye wipes. He’s a really fantastic character, and though his scene was ultimately cut from the film (but also played by Warwick Davis! ), Kedpin’s novella was incredibly entertaining and I could only hope to see him pop up somewhere in the future. 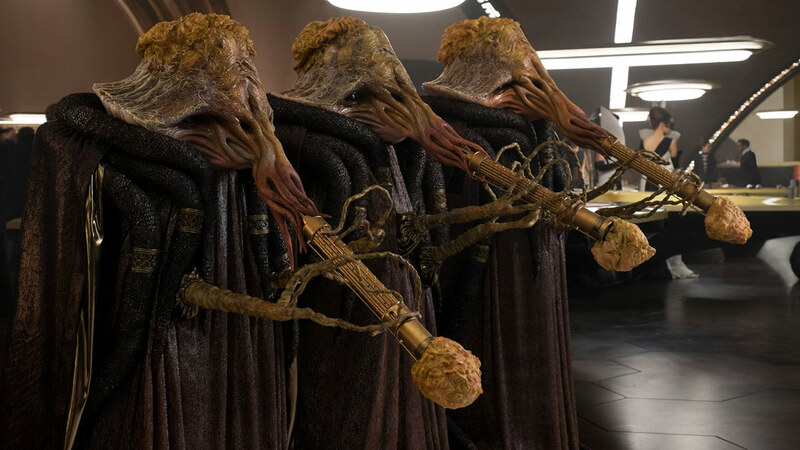 The Baron has a rather brief moment in The Last Jedi but he certainly cannot be missed. 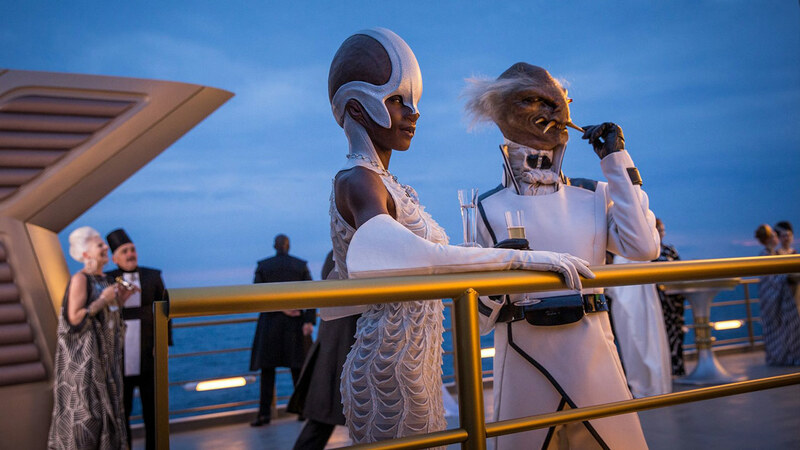 He’s enjoying a champagne-like beverage on his yacht with Ubialla Gheal, a character featured in Mira Grant’s short story “The Wine in Dreams” and described as “beauty, grace, and charm personified.” His ship is called the Undisputed Victor, and though his flashy possessions may be admirable, his demeanor toward servile beings needs some work. 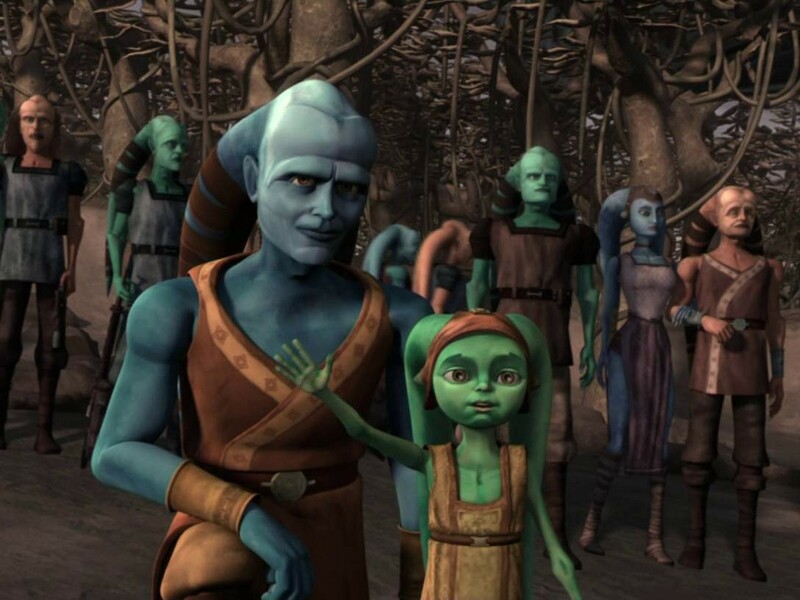 According to the masseuse Lexo Sooger, he never acknowledges the less elite members of Canto Bight society let alone even look them in the eye. Fun fact #4: Baron Yasto has a speaking line in the film, however it’s an alien language. Or is it? Listen closely and he actually proclaims “Pablo-Rayne-Kiri,” or the names of Lucasfilm Story Group members Pablo Hidalgo, Rayne Roberts, and Kiri Hart. Bonus fun fact: the voice is Rian Johnson. The final alien on this list was one of my favorites in the film, and the behind-the-scenes fun facts make him even more special. 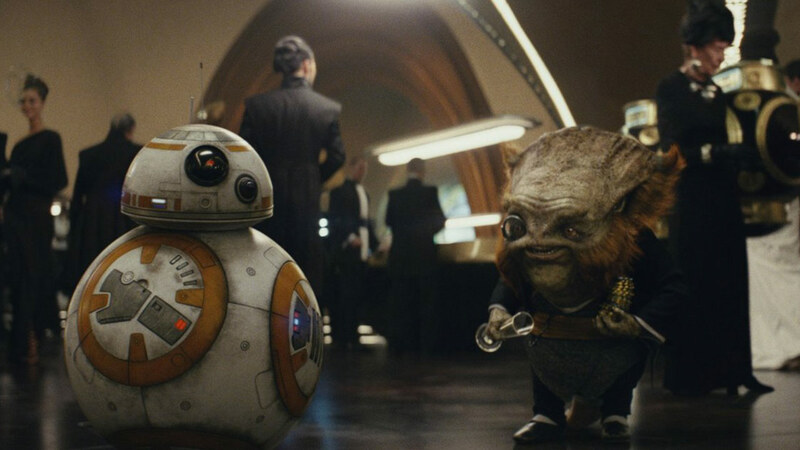 If you recall the scene where BB-8 so graciously accepts coins in his body from a bumbling casino patron, you’ll have seen the alien by the name of Dobbu Scay. 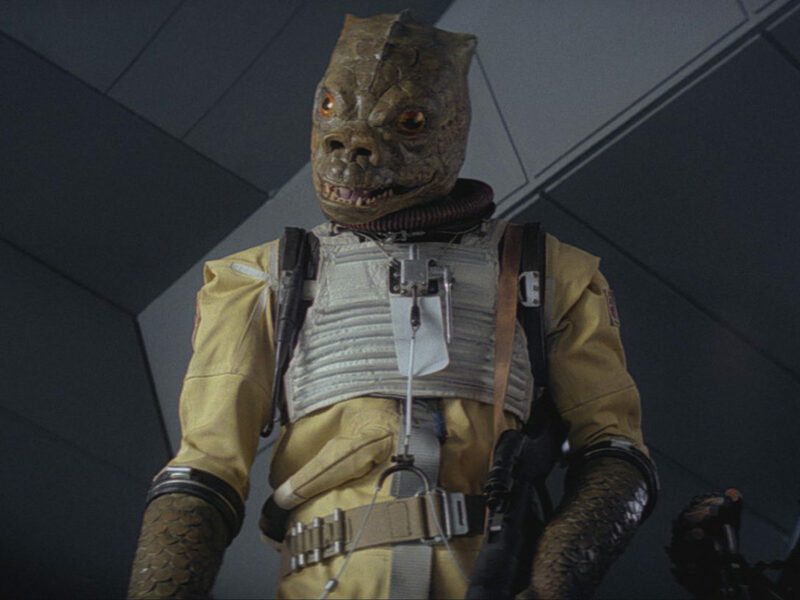 Though I wish I knew more about his species, his name is an anagram of Star Wars: The Last Jedi editor Bob Ducsay and the voice acting is done by a familiar talent in the Star Wars family. Yep, Dobbu Scay is actually Mark Hamill. Are there any other aliens you’re dying to know more about? Pick up Pablo Hidalgo’s Star Wars: The Last Jedi — The Visual Dictionary and Star Wars: Canto Bight to dig much deeper into the glamorous world and stumble upon many more fun facts! Did I forget some of your favorites? Let me know who I may have left out in the comments below! For more on Star Wars: The Last Jedi aliens, Easter eggs, and behind-the-scenes details, check out the new Star Wars: The Last Jedi Secrets Explained special, hosted by Andi Gutierrez! Sources: Star Wars: Canto Bight, Saladin Ahmed, Rae Carson, Mira Grant, John Jackson Miller, Del Rey, 2017; Star Wars: The Last Jedi Visual Dictionary, Pablo Hidalgo, DK Children, 2017. 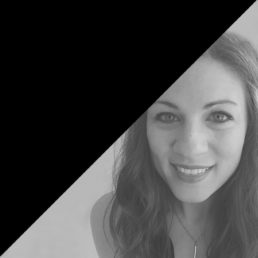 Dana Jennings is Lucasfilm’s associate producer for StarWars.com. You may remember her from such polls and quizzes as, “Who Wore it Best?” and “Which Star Wars Character Should You Invite for the Holidays?” When not acting as chairman of the Nien Nunb Appreciation Society, she can be found working hard to make sure The Star Wars Show stays fully operational or dressing up as Kevin the Ewok. Follow her on Instagram and Twitter for all these things and more!